When douchiness abounds, dickishness is afoot and general jerkiness is slung about for no good reason...HE WILL BE THERE! Bigshot Toyworks proudly presents... the FUnicorn!! Riding to your aid like a majestical steed, dealing backhands of justice, with zero fucks given or taken. In a world of pretty ponies and other glitter-spewing magical creatures, the FUnicorn gallops across the world with his head held high, ready to spread his message.. .of love. 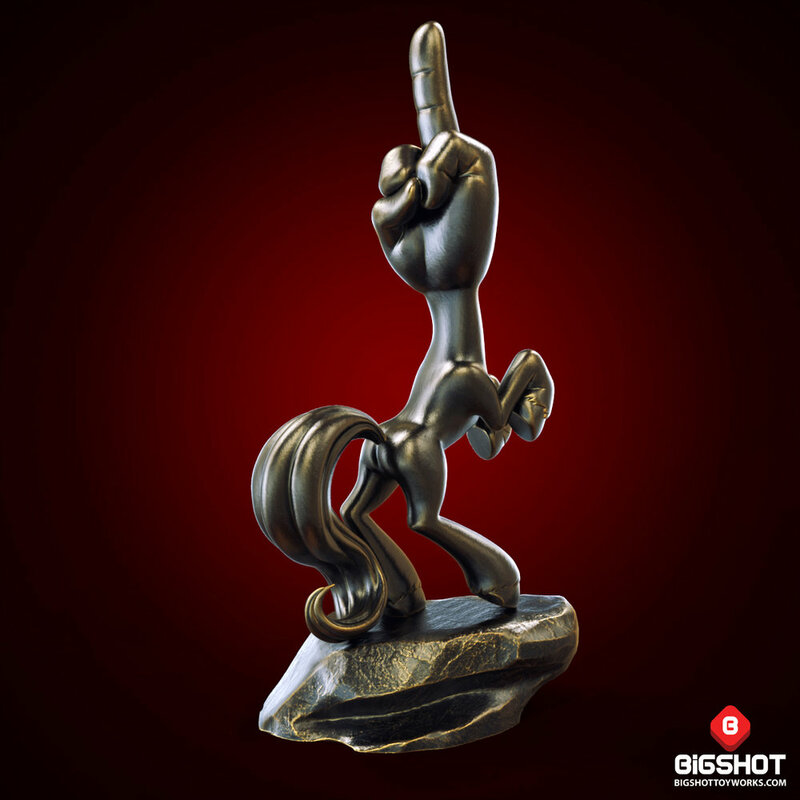 The FUnicorn stands 8 inches tall, hand crafted in resin in limited numbers. 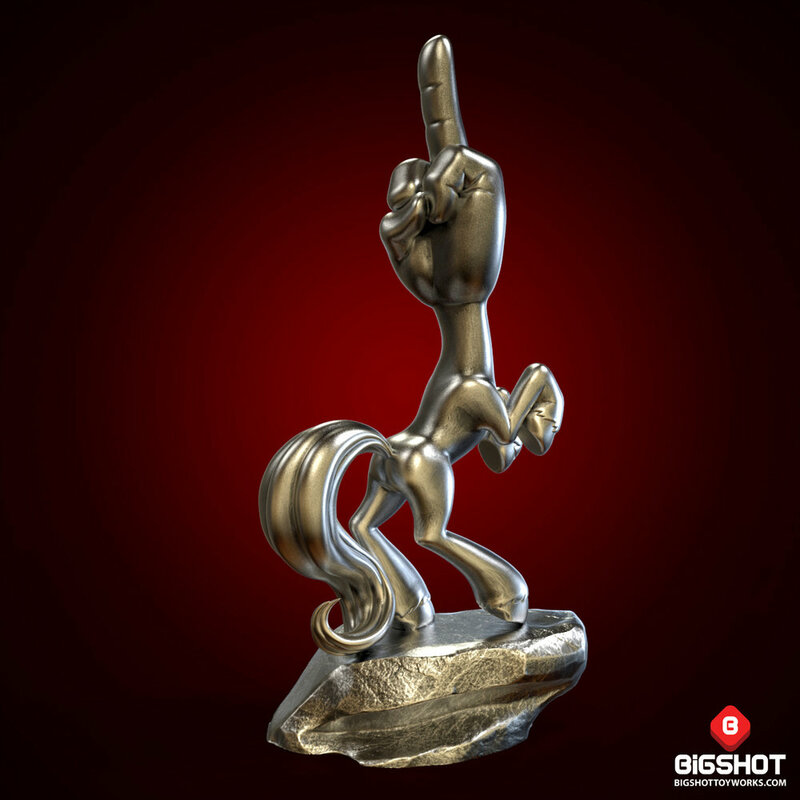 Capture the full color version for the direct, no-nonsense effect, or choose from Gold, Silver or Bronze to award the FUnicorn to your favorite ZeroFucksHero of the day. FUnicorns are available in our shop here, so prepare yourself for instant legendary status ~free with purchase~! The FUnicorn...he puts the FU back in FUN!